she would be right as a romantic lead for Bobby Vernon because they were both small in stature. This was their first film together and they proved to be a big hit with the public. 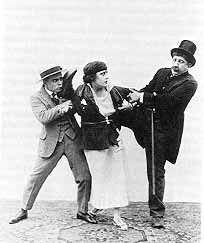 Their films together would be romantic comedies but still retain some slapstick which was what the public expected from a Sennett Keystone production.